For owners Doug and Pam Schmeling of Advanced Interior Systems, Inc., it is all about trust. Since launching their business in 1987, customers have spread the word that Advanced Interior Systems is the go-to company you can trust with completing your interior build-out project. This husband and wife team takes personal pride in every project they complete –ranging from office spaces and retail build-outs to local restaurants. Clients have included doctors, jewelry shop owners, insurance agents, urgent care centers and pizza restaurants….just to name a few. Doug brings to every project years of experience in the construction industry and started his career as a general laborer and worked his way up as apprentice, carpenter, journeyman and superintendent before starting his own business. In addition to his construction background, Doug also applies his excellent organizational skills to meeting the multiple requirements of any tenant build-out project. “I know that time is money for my clients who are paying on their tenant space – so that is why my loyal staff members and I are so committed to working as quickly as possible while providing quality work,” Doug said. Clients such as the corporate office of Papa John’s Pizza knows this to be true and saw first-hand that another contractor the company hired took 10 weeks to finish a build-out project that took Advanced Interior Systems only four weeks to complete. 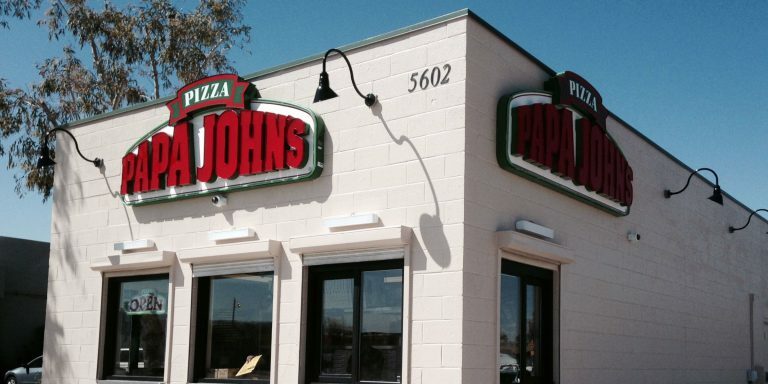 Papa John’s has trusted Advanced Interior Systems to do their corporate and franchise space build-out projects in Arizona for more than 10 years (more than 65 tenant spaces have been completed so far) and represents the many satisfied clients of the company. Originally from Buffalo, NY, Doug and Pam have lived in Arizona since 1997 and have three daughters.